Today we’re celebrating the paperback launch of THE GODS OF HEAVENLY PUNISHMENT by Jennifer Cody Epstein. You may remember Jennifer’s last visit to Women’s Fiction Writers when she shared with us a heartfelt post on mothering, writing, and moving forward. You can read it here. 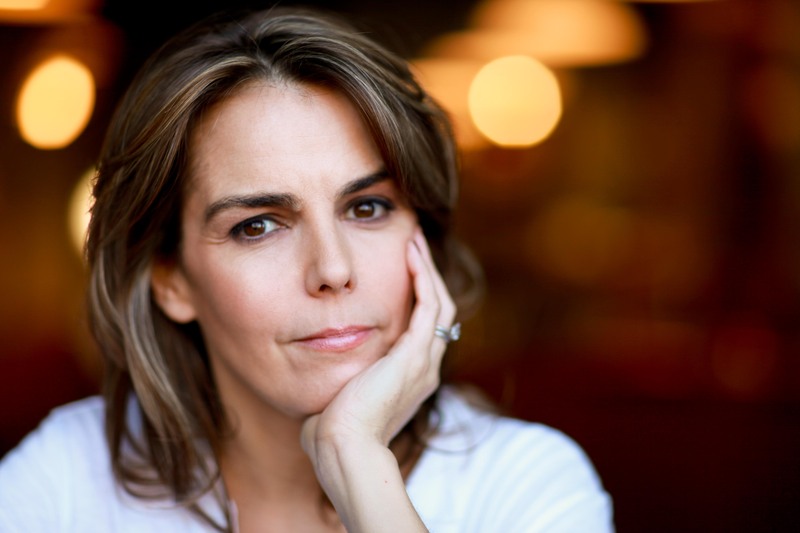 Today she tells us the different ways she writes her novels, as well as why she balks at the term women’s fiction. I totally get the reasoning, and the cool thing is, we each get to interpret for ourselves what we write and what we read and how we describe it. You know, tomaTO or toMAto, it all tastes good on a sandwich. Please welcome Jennifer Cody Epstein back to WFW! Amy: Congratulations on the paperback release of THE GODS OF HEAVENLY PUNISHMENT. How is this different for you than the hardcover release of the novel? Jennifer Cody Epstein: I think mainly it’s that I’m excited for the book to be more accessible to a broader spectrum of people. A hardcover is lovely on a bookcase, but it’s either too expensive or too clunky for most readers to want to invest nearly $30 in. Plus, book groups tend to buy paperbacks and I love to talk to them about Gods—so I’m hoping I’ll get more opportunities to do that now! I’m also thrilled with the cover for the new book—it’s a photograph by Japanese photographer Hayashi Tadehiko that I’d lobbied hard for because I love it so much. I think it sums up so much of what the book is really about for me. Amy: Is there one particular thought or idea or lesson you hope readers take away when they’ve read THE GODS OF HEAVENLY PUNISHMENT? Amy: I can’t believe I’m asking this because it always stopped me in my tracks—but it’s fun to know! Do you have a favorite scene or moment in the novel? What makes it your favorite? Jennifer: My favorite scene to write was the one where Hana Kobayashi—the glamorous, tragic femme fatale of the novel—seduces the very dry and self-righteous Anton Reynolds over lunch at the Imperial Hotel. I had a lot of fun figuring out ways to make him increasingly befuddled and hot-under-the-collar. Amy: Everyone (okay, many people) seem to want to know how an author writes a book. Do you outline or just write and figure things out as you go? Any tips or tricks you’d share? Jennifer: As a rule I do outline, but (also as a rule) I then ignore those outlines. Or rather, follow them up to a point—but if the narrative seems to want to go in a different direction (which it almost always does) I let it…and end up rewriting my outline to fit that new direction. And then, of course, promptly veer from that outline…etcetera, etcetera. I don’t know if that’s a tip so much as a cautionary tale (!) But the bottom line for me is that outlines are useful in as much as they make us feel as though we have a master plan, which makes writing a little less daunting as a task. So I’d encourage people to make them if they feel like they help—but to also not be afraid to tear them up and start over again if they are becoming more of a hindrance. Amy: Do you cringe at the mention of the term “women’s fiction” or does it not bother you? What is it that you think of when you hear it? Jennifer: I actually do kind of cringe—not out of any disrespect for women readers (quite the opposite, since we are the prime consumer base for the whole industry) but because much like the adjective “historical,” “women’s” in the popular imagination tends to connote work that is somehow less “serious” or literary, and that’s definitely something I object to, on so many levels. For one thing, in my experience women are just as serious and “literary” as are men, and I count as many male authors among my literary influences—Vladimir Nabakov, Haruki Murakami, David Mitchell—as I do female. If not more! And I’m certainly not a women’s fiction “reader.” Why, then, would I want to be seen as someone who only or mainly writes as a woman, for women? I likewise doubt that most male writers would want to be seen as writing exclusively for men–especially since men buy so little fiction, relatively speaking. Amy: What’s your best advice for aspiring authors who want to write a book about a strong woman, her journey, and her choices (that’s what I’d call women’s fiction)? Jennifer: I applaud your definition! The main advice I’d give is to allow your character complexity and depth. Being “strong” doesn’t necessarily mean being infallible—or even appealing all the time. In fact, in my opinion it’s far more interesting to read about characters battling their own weaknesses and flaws than to paint them as Amazonian success stories from the get-go. I discovered this with my first novel, The Painter from Shanghai, which was based on the extraordinary life of Chinese prostitute-turned-post-Impressionist Pan Yuliang, who ended up being a celebrated painter in Paris. She was a woman who triumphed over such enormous odds—poverty, the loss of her parents, sexual slavery, the rampant prejudices against both women and Western art in pre-revolutionary China. But she didn’t survive them by being likable all the time—and if I’d tried to make her so I wouldn’t have been doing justice to her or her amazing story (which is why when people tell me they didn’t really “like” her at some points in the narrative, I take it as a compliment). So create your strong woman—give her all the traits you’d like to see in yourself, but give her some real shortcomings (maybe even your own shortcomings?) as well. In the end it will make her a much more real and empathetic character—and hence that much more resounding for your readers–men and women alike. 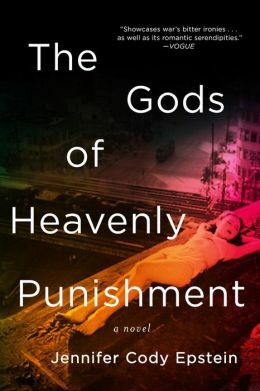 Jennifer Cody Epstein is the author of The Gods of Heavenly Punishment and the international bestseller The Painter from Shanghai. She has degrees from Amherst College, the Johns Hopkins School of Advanced International Studies and Columbia University. She has worked in Hong Kong, Tokyo, Bangkok and New York, writing for The Wall Street Journal, The Asian Wall Street Journal, Self, Mademoiselle and NBC. She currently lives in Brooklyn, NY with her husband, two daughters and an exceptionally needy Springer Spaniel. Great interview and fascinating book! I love that you, Jennifer, allow yourself to outline, then veer from it when your characters speak their minds. Me, too! I, by the way, am one of those hardcover devotees. I like the heft of a hardbound book in my hands, but – yes – the almost $30 price tag creates sticker shock and limits how many I can buy. My friends are, as you indicate, more inclined to buy the paperbacks. Happy launch and many wishes for lots of book club discussions in 2014. Great interview, Jennifer–and this ongoing discussion about the pro’s and con’s of being branded as a “women’s fiction” writer is an interesting one, Amy. Keep it up! Can’t wait to read this novel. I confess that I’m one of those people who can only typically afford hardcovers if I get them at the library, so I’m glad it’s in paperback now! I too am ambivalent about the term “women’s fiction”, but I accept that that really is what I write, and the term publishers are familiar with, and the term readers immediately understand and seek out. Shoot, my own publisher — Bookouture — identifies itself as a publisher of women’s fiction. It’s the reason I turned to them!